You must make reservations at least 5 minutes in advance of the time at Pampa Sa-zone. Live music on Thursday nights and Wine discounts on Wednesday nights. A new Latin fusion concept. Our name combines 3 words for this project’s identity, Pampa, Sazon and zone. Pampa and zone refer to our geographic origin La Pampa A vast fertile lowland stretching across Argentina, Uruguay and Brazil. A lot of Argentine folk and culinary heritage has its origins in the life of the gauchos(farmers) at La Pampa. The word Sazon sounds like the season or seasoning in English, in Spanish it carries part of the same meaning but also refers to the uniqueness in flavor that each cook or culture incorporates into food. The red house wine was great; the empanadas and papa/yuca rellena were delicious. We liked the different sauces they offered with each dish. My sister (from Argentina) ordered a medium-rare steak but they brought her a well-done steak; she asked them to bring a new one and they did, and it was perfect. We'll visit again and will try more new dishes. Small neighborhood eatery with a unique ethnic menu. The wait staff were very nice and helpful in explaining the menu and its tastes. While not likely to be a weekly stop for me, it is a nice diversion for Fairfax residents. The empanadas and the different sauces were excellent. The main course was very good, although I was hoping for a thicker piece of beef. That said, the beef was good for the price. The vegetables were outstanding. We had a great time on our double date this past weekend. All of the food was delicious and cooked perfectly. Excellent spot and hidden gem for Argentinian fare. Great empanadas! Very good Latin American food. Fun menu with lots of authentic appetizers and inexpensive meals. Service was great and waitress was friendly. Great choices in the menu! Food (meat) was a bit cold when it reached our table! This is one of those very wonderful "local" restaurants. Not formal dining, and not fast food. The menu is excellent. We loved the tapas style of meals and we were able to order a large handful of different items to share between two of us. The Locro soup was a favorite of ours. 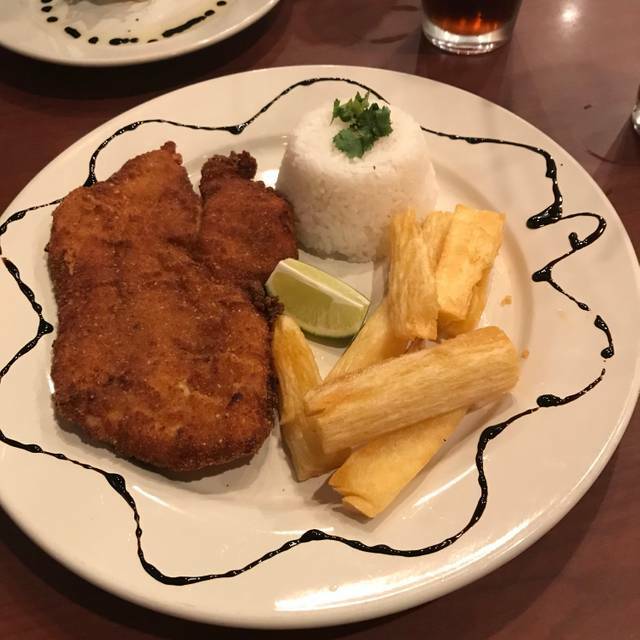 I was glad to be able to return to food that I remember having when I lived in Argentina as a child. I will go back when I need this wonderful comfort food. Love Pampa Sa-zone! Great food and warm welcoming service. The server recognized us from our first visit 3 months ago and took great care of us. Appetizers were good but the beef skewers were cold and had lots of gristle. I'd give it another try though. I went with family for Father's Day. Pampa Sa-zone is casual and the food and service was great. I will return when I'm in the mood for Latin-American food, though it's a bit of a trip for me. Great food and service! Best Colombian empanadas I’ve had in the area! The prices were also very reasonable. The decor is warm but plain, the service warm and friendly, and the food out of this world. Authentic, perfectly prepared, seasoned, and presented. I just wish I didn’t live 800 miles away. Fabuloso! Food was so so. I’m sure it’s an ok place for lunch and bakery but not for dinner. We had a party of 8. One waitress for the entire place! I was not wanting anything for free but at least was hoping they would make it memorable which was not the case .. dessert was good . Great music! Live Argentine tango accordion player. Very authentic. Very good prices for excellent wines and beers. Food is authentic meat and empanadas. Good as the Argentine (and other South American) food is, the No. 1 reason for us to go is the music -- nearly every Tuesday, a bandoneon player (that's the characteristic instrument of tango) whose repertoire extends to bossa nova, Cole Porter and beyond: Bravo, Emma! Sou excited for this place to be in town. Great food, especially the empanadas! Celebrated my birthday here with a party of 7. Great food and attentive staff. Also had the empanadas, ceviche, locro, and picadita. Everyone enjoyed their food. We didn't even need to order any "kids meals" because the 7 y/o and two 9 y/o liked what we ordered. Will definitely be back! Tried this new place in Fairfax. The staff was welcoming and the food was very good, but they seemed understaff and a bit overwelmed. We were not in a hurry, so everything was fine. Maybe they are just working out kinks. We'll go back. This is a very recommendable restaurant. Unfortunately, it does not have some of the delicacies from Argentina, such as polenta and small sandwiches, which can be found at "El Patio" in Rockville, MD. My friend and I both enjoyed the 3-course prix fixe for dinner ($35, not including wine). Wines by the glass were interesting selections, with Argentinian house wines. Appetizers were quick. The mini arepas were delightful, although the beef empenada was amazingly tasty (and available to-go from the bakery case). We were asked how we wanted our main dish cooked, and both her filet mignon my mahi mahi were perfectly medium-rare and delicious. Side dishes, pilaf with hominy and a fried potato cake, were ample and filling. Both our desserts, flan and cheesecake, were good and unusually sturdy. Our only problem was that table service became overwhelmed by the number of guests. When we arrived at 6, service was quick and attentive. But when we left around 7:20, it took 20 minutes to get our check, and we ended up being late for our concert only a couple of miles away at George Mason. The restaurant is very casual and the wait staff friendly and attentive. The food was delicious, good size portions and moderately priced. Went for dinner with my wife and we had a great time. We were not rushed and had a great evening. Have been a few times now. The Choripan is fantastic. Anything with Dulce de Leche is a must have. Lived in Argentina for years so the size of the steak I had was not necessarily "authentic" but the Chimichurri sauce is great. We all LOVED the Provoleta. The Rusa is quite good. The fries are amazing. Will be nice when they can actually get some Argentine beer in there! I work just up the street and my staff has been going about twice a week now for lunch. I had the Milanesa sandwich the first time I was there. I admit that I prefer the meat on that sandwich at room temperature rather than hot and freshly cooked but that's just what I am used to. The morcilla was good. The chorizo was good. The empanadas are good. Looking forward to trying the Tucuman. All in all, not very expensive and quite tasty. My son says it's his new favorite restaurant. Oh.. and the flan was excellent! 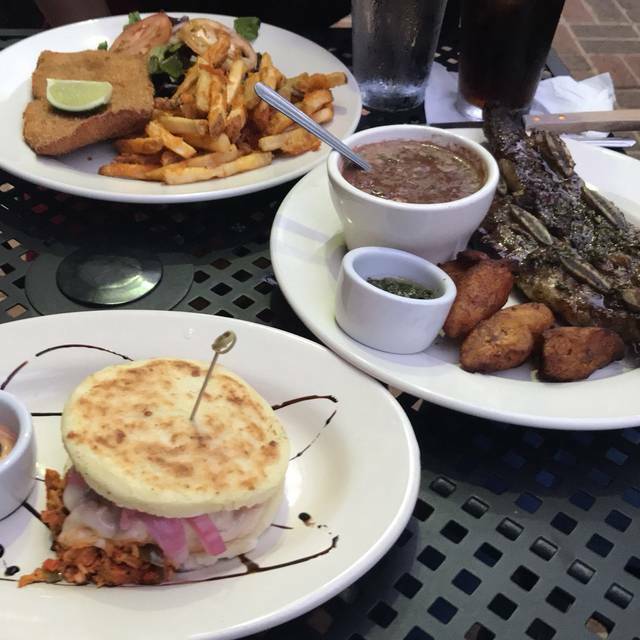 A nice menu of Argentine standards and Latin American fusion cuisine. We were there before the dinner rush. Instead of a meal, I recommend sampling a wide variety of appetizers. I was very pleased with the experience and will return. As much as we enjoyed the food, the best part of the evening was the performance by your tango musician -- SO wonderful!